Chatroulette—not just for exposing oneself anymore? That’s the daring premise RealmPictures sought to prove when they decided to turn the random video-chat platform into a first-person shooter (FPS) game. 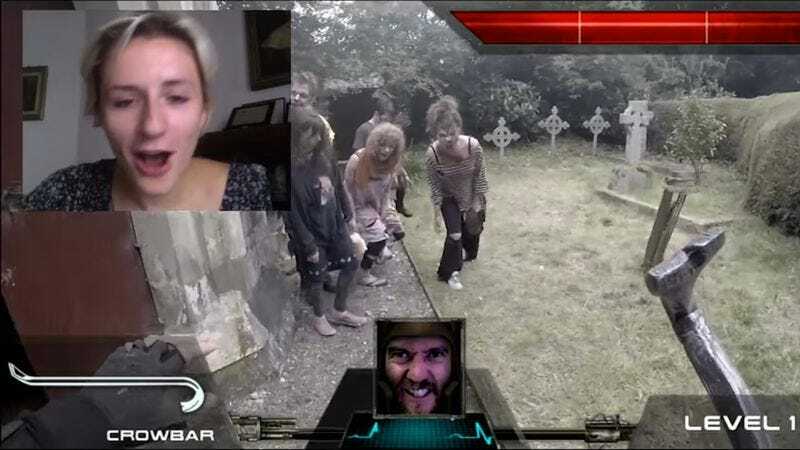 Those lucky strangers that found themselves in the game controlled the main character’s actions by giving commands, both verbal and typed, steering him away from zombie hordes and towards various weapons and health boosts. For those that made it to the end, there was even a big boss battle. To learn more about how RealmPictures pulled this off, check out the behind-the-scenes video below. The whole production is an impressive and immersive experience expertly pulled off by the group, one that really engaged those people lucky enough to log on to the ”game.” Oh, and to answer the question everyone’s thinking: Yes, the group still encountered an untold number of wangs.